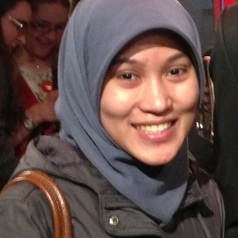 Rizqy Amelia Zein is an early career scientist, working for Faculty of Psychology, Airlangga University. She is interested in conducting research on public understanding in science by looking at its relation with conspiracy belief, collective narcissism, epistemic virtue/belief, religiosity and general/intellectual humility. She is also interested in the issues of research methods, replicability and statistical analysis. She mostly uses survey (cross-sectional & time series) and randomized-controlled experiment as her approaches in conducting research.